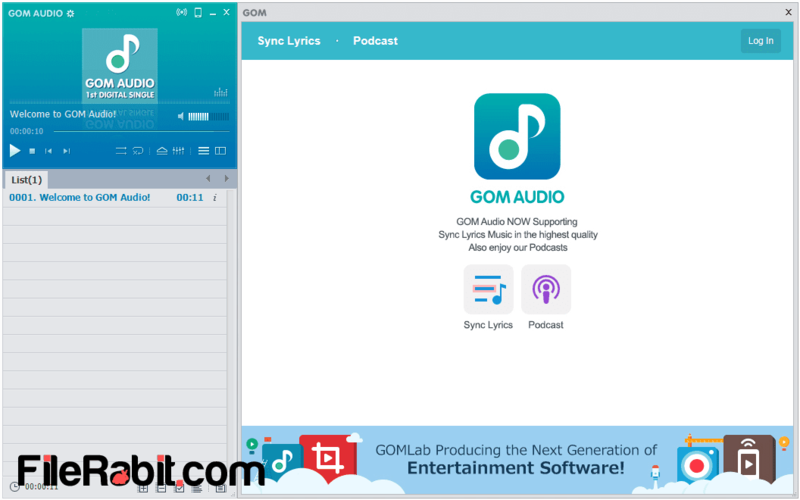 GOM Audio is modern and HD music player used to play any type of audio file including MP3, M4A, PLS, WMA and CDs with equalizer, playlist and visualization features. There are lots of freeware music player available for PC but GOM audio ranks on top after Winamp developer team has stopped the update. However, it gives multiple functions including listening hundreds of online Radio channels. The player has multiple themes that let the user to switch interface on demands. 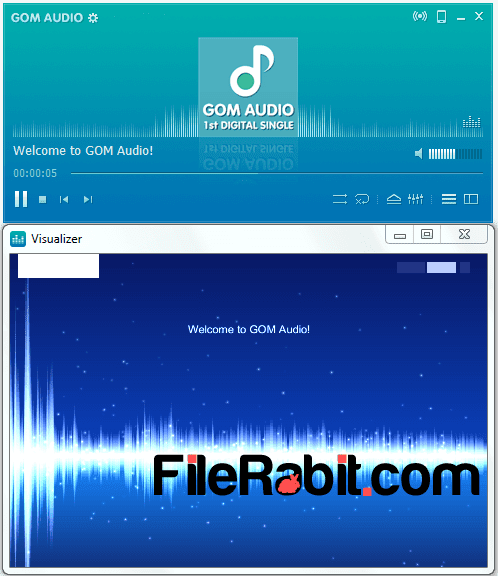 GOM already released GOM Player that is one of famous audio and video player among competitors. You can sync lyrics and then edit them with custom keywords for multiple music files. Sync Lyrics Editor has been added to create, edit and upload custom lyrics easily. 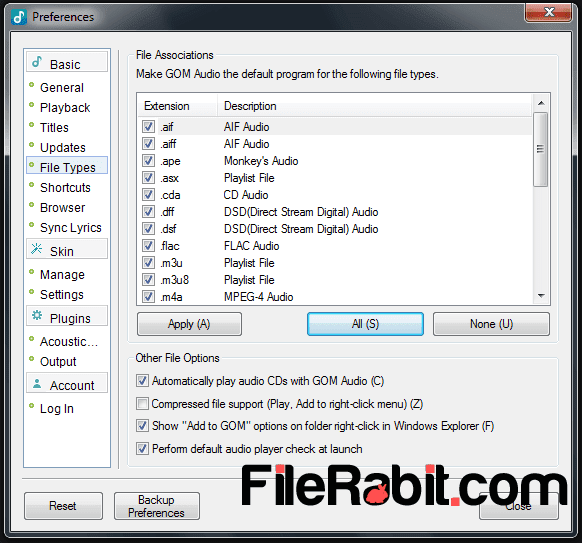 Furthermore, it has large support for music file extensions including MP3, FLAC, MIDI, WAV, WMA, OGG, M4A and playlist very well. Podcast service makes you enable to listen popular podcast that are available in major languages from worldwide. 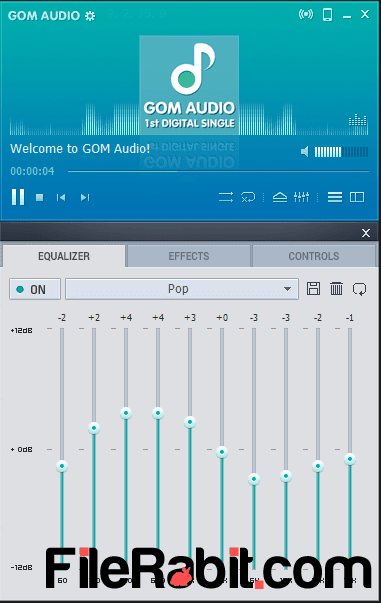 GOM Audio has internal equalizer, playlist, effects, controls and visualizer as well. These are professional features that gives ultimate control over music files. GOM audio will entertain the user while playing music through woofer or just listening with headphones. Moverover, shuffle, repeat, eject and open target files are further enjoyable advantages. Play, repeat, stop, eject buttons etc. Although, GOM audio is one of modern music player for PC that may defeat Winamp. GOM ID is another awesome feature that will synchronous data between android and windows. All the bookmarks will be saved on your GOM ID after successful account creation. Happy news for laptop users because GOM Audio is extremely light resource taking software so it means you will save battery consumption. The user can control playback speed between 0.1x to 2.0x values.